Our top 3 glass partitioning projects...Who's made the list? 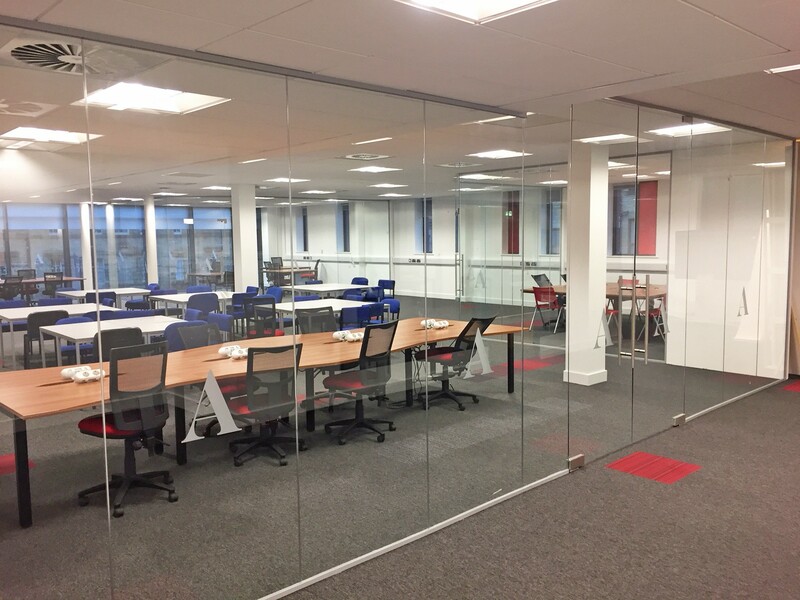 Our no.1 on the list is a frameless glass partitioning install with flare. Remember the ITV drama ‘Girlfriends’?, the glass installed was by Rodley Interiors. The glass partitioning tranforms this chic magazine office. 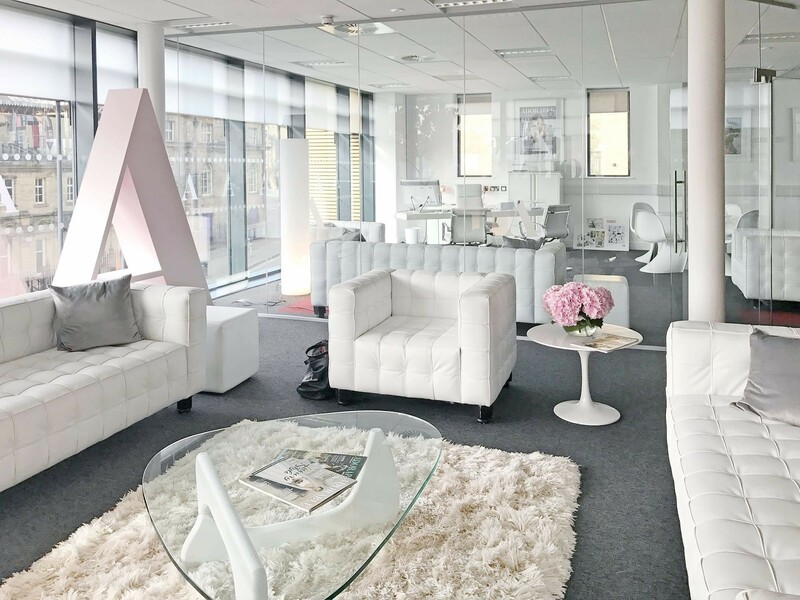 Each glazed office featured a manifestation film in Opal Frost and featured an ‘A’ to suit the name of the magazine ‘Adorable’. Frameless glass partitioning is a perfect system for a television set such as this. Not only is frameless glass partitioning easy to install but it just as easy to dismantle. This makes it the ideal system for a temporary television set. Next on the list is not the largest but is certainly eye-catching. Another glass install, but this time within formed openings and with adjoining framework. These glass fronted offices create magnificant and modern client spaces, with glass locakble doors which allows for privacy when required. The glass was then finished with manifestation dots in Opal Frost complying with DDA requirements. Another glazing project we love is this at West Yorkshire college. We installed frameless glass partitioning to create large classrooms. The glazing was cleverly positioned to make the most of the space and generous amounts of natural light available. The glazing panels featured a glass double door set which was constructed from the floor level to the ceiling. 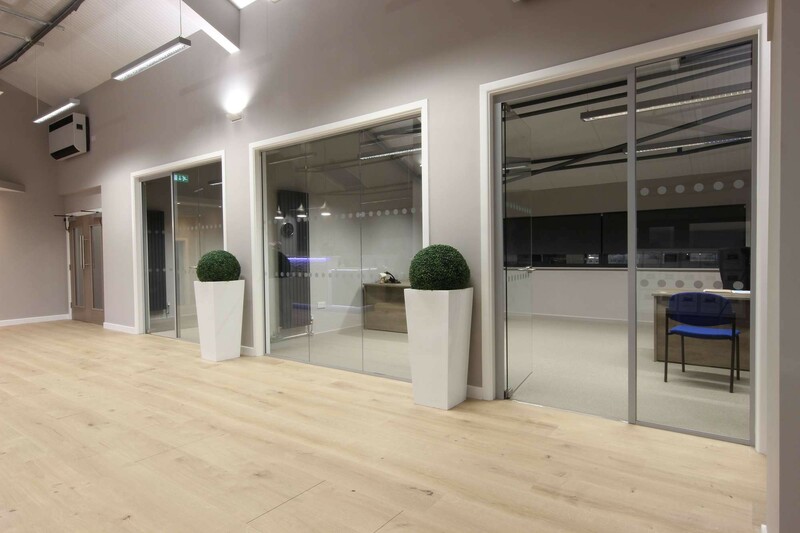 Case Study: Serviced Office Refurbishment A complete office refurbishment project creating 20 new modern serviced office spaces. Serviced Office Refurbishment A look out our contemporary and stylish office refurbishment, creating serviced workplaces in Bradford.